I know that the world is a cruel place and I also believe that my mom was taken before her time. She had so much to do here still; so much to teach, so many places to go and so much love to give. I still ask why and the only reason I can manage to come up with is that maybe, just maybe, God had bigger plans for her. My mom was a better mom than me in many ways and I am grateful for every single thing that she taught me. She was kind, compassionate, giving, strong, funny and strict, somehow all at the same time. I strive to be like her, or even better than her, even though sometimes I do fall short. Sometimes I have a bad day. Sometimes I yell. And sometimes I even lock the bathroom door just for a moment of serenity. Nobody’s perfect, after all. With that said, tomorrow still is Mother’s Day and I still will celebrate. I will tell every mother I know that she is great, that she is doing a GREAT job. I will tell every mom I know that she deserves this day to accept the appreciation and love, because she does the best she can. Every day. 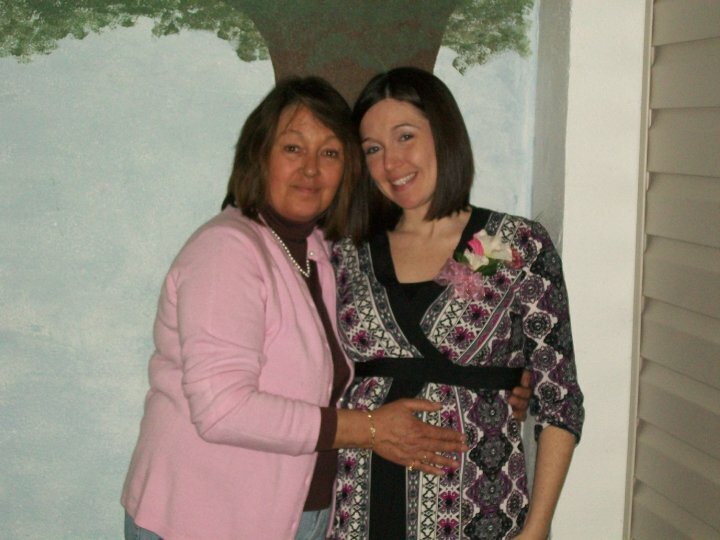 Please don’t forget to remind the moms in your life that they are amazing, not only tomorrow, but as often as you can. They need to hear it. We need to hear it. Next Wrapping up my Book.